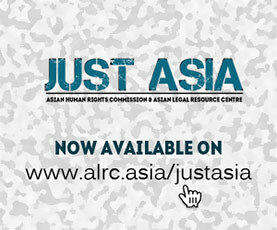 The Asian Human Rights Commission (AHRC) is disturbed to learn from the SKP office of the Catholic Diocese in Papua that the police arrested student activist leader Mr. Buktar Tabuni on December 3, 2008 in Sentani, Jayapura, Indonesia on criminal charges of “treason”. The authorities arrested him despite the fact that he followed all requirements stipulated in the Indonesian legislation regarding freedom of expression, when organizing demonstrations. Subsequently, on December 3, 2008, the Criminal Investigation Department (CID) of the police of Papua arrested Mr. Tabuni and took him into custody. The commander in charge was Senior Adjunct Paulus Waterpauw. The arrest was carried out without a warrant. The victim has been kept in detention since the arrest and remains there until now.Mr. Tabuni conformed to the requirements of Law No. 9/1998 in Indonesia regarding freedom of expression when exercising protest action. The police charged the victim with treason under articles 106, 110, 160, 212 and 216 of the Indonesian Penal Code. The minimum penalty for this crime is seven years, and the maximum penalty is life imprisonment. during interrogations and detention. There is reason to assume that Mr. Tabuni is suffering from the same treatment during his current detention. Art. 160: “Any person who orally or in writing incites in public to commit a punishable act, a violent action against the public authority or any other disobedience, either to a statutory provision or to an official order issued under a statutory provision, shall be punished by a maximum imprisonment of six years”. for more information on the case. Article 106 is typically not applied with caution and prohibits through its content the full exercise of freedom of expression and related to this the inalienable right to self-determination. Article 160 is worded in vague language, which makes it susceptible to selective implementation. This is often the case in Papua, where these articles are frequently used against rights activists. This then blocks peace-building activities in the two Papuan provinces which remain under the strong grip of armed security forces. Please write to the persons listed below urging them to stop the arbitrary arrests of human rights activists in Papua and urging the immediate release of Mr. Tabuni from custody.Also,drawing on this case, please voice your concern regarding the right to freedom of expression of indigenous Papuans, in general, and of human rights activists in particular.Please note that the AHRC has written a separate letter to the UN Special Representative on human rights defenders and freedom of opinion and expression calling for intervention in this matter. 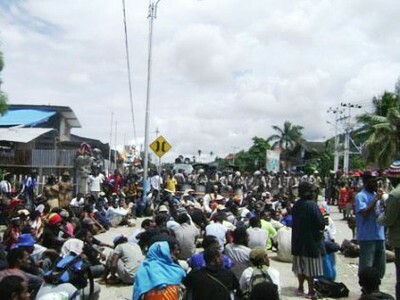 I am appalled to learn of the arrest of Mr. Buktar Tabuni on the 3rd of December 2008 in Sentani, Jayapura, Indonesia. According to the information I have received, Mr Tabuni was arrested on charges of treason, based on articles 106, 110, 160, 212 and 216 of the Indonesian Penal Code. He was arrested by personnel from the C.I.D. 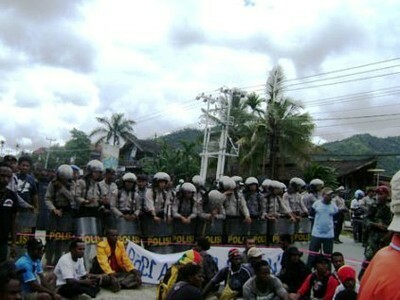 of the Papuan police. No arrest warrant was presented at the time of the arrest, and Mr. Tabuni is still being held in detention. Mr. Tabuni is an active human rights activist, and a student Association leader. He has as such organized a number of peaceful demonstrations. The most recent one was in support of the International Parliamentarians for West Papua in London, and was held on October 16, 2008. Despite the fact that the various demonstrations organized by Mr. Tabuni had been peaceful, and in accordance with the requirements set out in Indonesian Law No. 9/1998 regarding freedom of expression, he was arrested, charged with treason, and remains in detention. First, I ask you to ensure that Mr. Tabuni is released immediately from custody. This is urgent considering the risk of torture as commonly practiced in Papuan detention facilities. I further urge you to drop the charges against Mr. Tabuni, as he was exercising his right to freedom of expression in accordance with Law No. 9/1998. I want to draw attention to the need of revising the Indonesian Penal Code, especially with regards to article 106 and 160, since these are written in vague language and often applied against rights activists. A revision would reduce the high risk of arbitrary application of these laws. Finally, I want to stress arrests such as that of Mr. Tabuni constitute a grave breach of the right to freedom of expression as enshrined in article 19 of the International Covenant on Civil and Political Rights (ICCPR). The neglect of these fundamental rights by Indonesia would represent utter disrespect of international human rights standards. I trust that you will do what is in your power to make sure that Mr. Tabuni will be released from detention and the charges against him dropped.